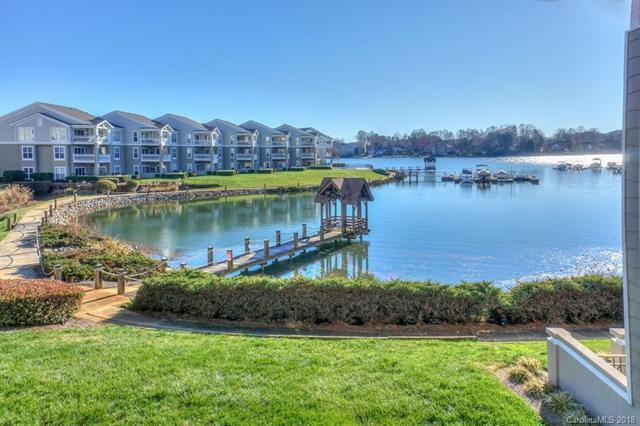 Enjoy the excellent Lake Norman view from this Davidson Landing condo. Great location with two bedrooms, two bathrooms, and approximately 1,100 square feet of living space. Very nice updated kitchen with granite, tile backsplash, stainless steel appliances, and lots of cabinet space. One of the largest two bedroom floorplans in Davidson Landing. Both bedrooms have walk in closets. Large waterfront porch with great views of the lake and pool area. Amenities include the lake, pool, tennis, basketball, and leased boatslips.